This time last year, I was in Paris on a special trip. 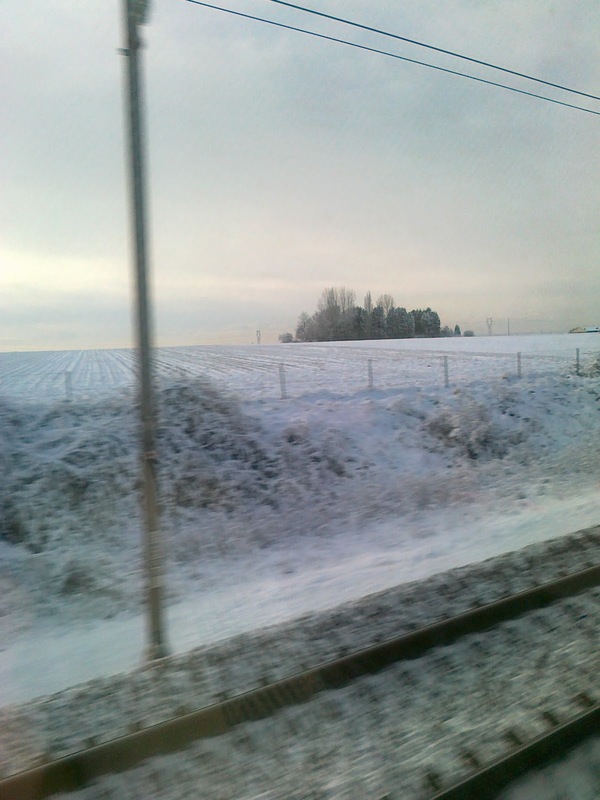 A special trip for me. I mean, just for me. I left on the Friday morning while my darling husband looked after our daughter and I came back on the Sunday evening. Just before I left, I had bought a little gem, pictured here. 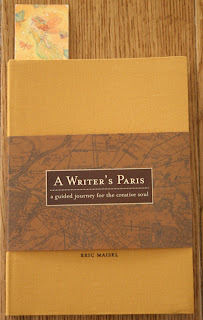 A Writer's Paris ­– A Guided Journey for the Creative Soul by Eric Maisel. A wonderful, perfectly produced book all about Paris and what a writer can do – must do – when coming to write in Paris, whether for a month, three months or a year (or anything in between), on a budget or not (though mostly it’s all about surviving on a shoe string in the City of Light, because ­– ahem – it’s a well-known fact that writers are broke half the time. Because writing takes time, usually time when you can’t work simultaneously, so one constantly struggles between time for writing and time for earning a bit of money). It has pictures and drawings, lovely use of attractive fonts, and the cover and glacé paper… wow! They make you feel like you’re holding a very expensive and very precious book. Which I guess it is. I was born to write. Whether I’ll ever get published (other than electronically I mean, as will soon happen with my short stories, nearly ready for the iPad J) is neither here nor there. It’s increasingly clear to me that I absolutely don’t care what will eventually happen to my writing. As long as I keep writing (here and privately on my computer or in my numerous notebooks), I’ll be happy. 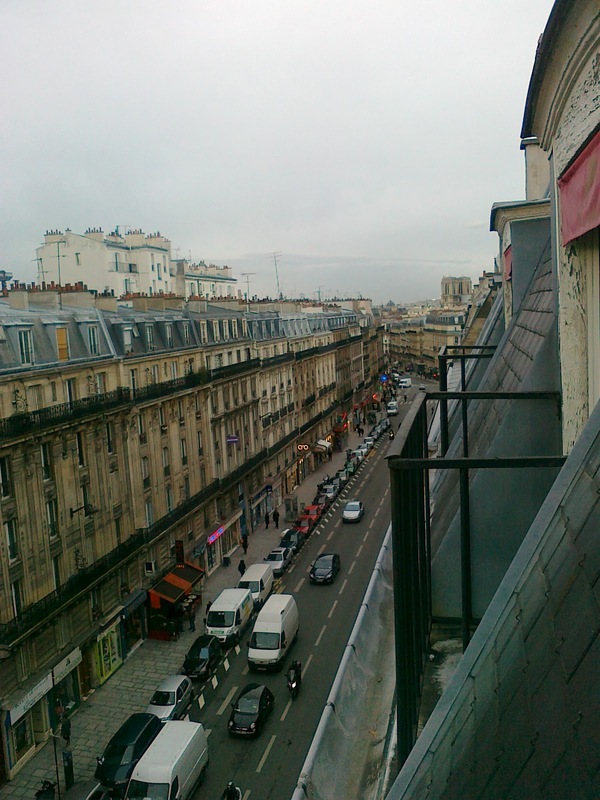 A Writer's Paris ­– A Guided Journey for the Creative Soul. So much promise. It was an idyllic weekend in an idyllic city for a budding writer. It even snowed! Thank you, Eric. 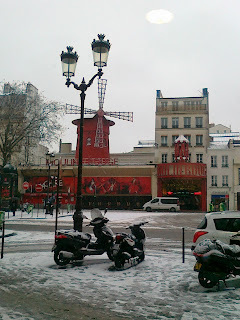 Next time, I’ll do exactly as you say and spend at least a month in Paris and go to all the places you mention and I’ll even try to write a novella in four weeks!